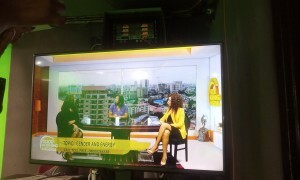 “What has gender got to do with energy?” That is exactly the first question Eno Alfred, the Cool TV presenter asked. We are always asked this question on online spaces, especially on the social media where Spaces for Change (S4C) facilitates regular online conversations on critical public policy issues affecting the Nigerian energy sector. 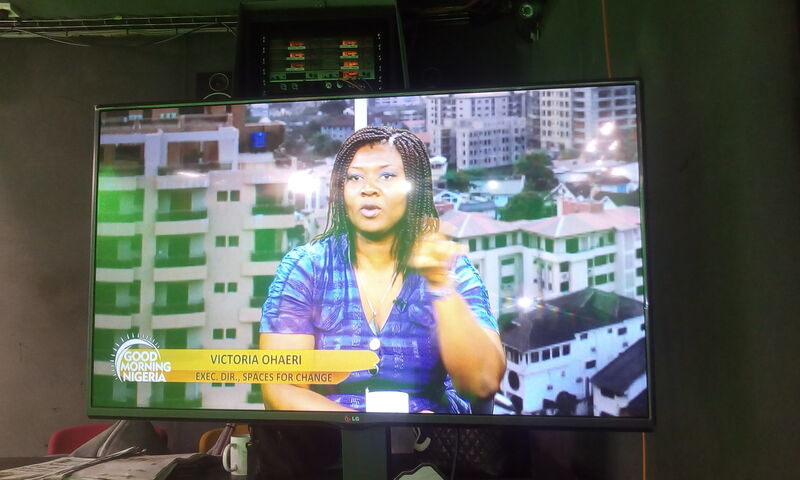 Expanding this conversation further, S4C’s director, Ms. Victoria Ohaeri was the guest on Good-Morning-Nigeria show on Startimes Channel 196 on Wednesday, September 9, 2015, discussing “Gender and Energy Access in Nigeria.” During the 30-minute interview, Ms. Ohaeri discussed how women are overturning the stereotypes embedded in the age-old imageries of only men in overalls and helmets working on oil rigs. She used different examples and scenarios to highlight how women are disproportionately affected by energy poverty in Nigeria be it electricity, petroleum products such as kerosene, premium motor spirit, diesel and so forth. Being Africa’s largest oil producer and holder of the 9th largest natural gas reserves in the world estimated at about 180 trillion cubic feet, energy poverty in Nigeria is an anathema, she said. With only 48% of Nigerians having access to electricity and modern energy services, how can there be so much want of energy in a country so well endowed with natural gas reserves, mineral oil deposits and renewable resources? A number of energy reform interventions introduced in recent times, especially the subsidy reforms, have been poorly targeted, and are not benefiting the poor, especially low-income women. 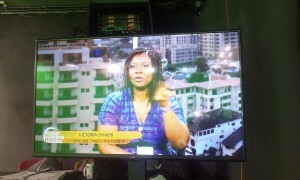 Furthermore, she discussed Spaces for Change’s landmark research work on gender and energy in Nigeria. In this regard, she talked about the monthly Women-Kitchen-Energy (WKE) Forums through which Spaces for Change is gathering data directly from low-income women in six (6) states across the six geo-political zones in Nigeria to allow for the capturing of the traditional and cultural distinctions in energy use, energy needs and gender roles across Nigeria’s diverse multi-ethnic groupings.